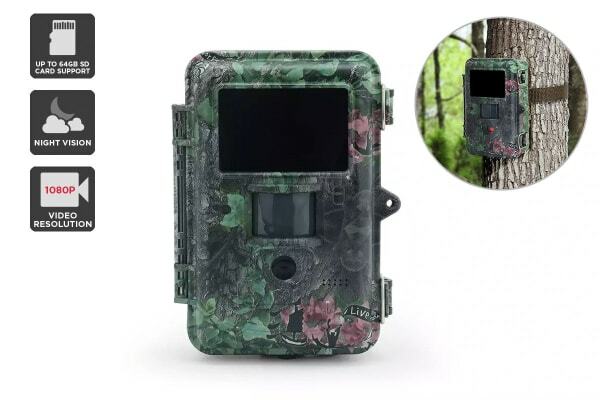 Whether you need to scope out the local wildlife, keep an eye on your livestock or monitor remote areas of your property, this rugged outdoor surveillance camera will get snapshots or video of whatever goes on. Wire free and portable for easy mounting to trees, posts and more! Rugged and weather-resistant, the Kogan 25MP Pro HD Trail Camera is made for life outside and operates on AA batteries so you don’t have to worry about outdoor power sources. 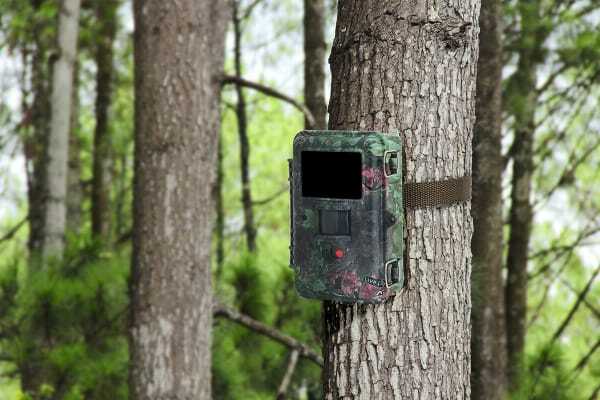 Mount your camera to trees, posts or flat surfaces with the sturdy mounting strap to keep an eye on remote areas and monitor livestock or wild animals. PIR sensors detect movement up to 30m away, day or night, and the camera automatically captures still photos or videos at intervals up to one hour and stores them onto an SD card for easy viewing and transfer. 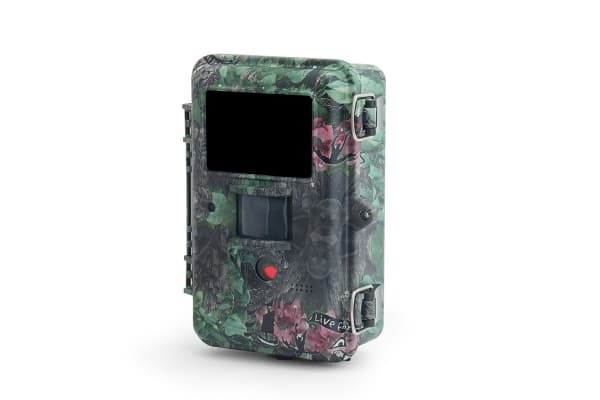 The Kogan 25MP Pro HD Trail Camera is also inconspicuously hidden thanks to its camouflaged appearance and boasts a handy sound broadcasting feature for calling animals.